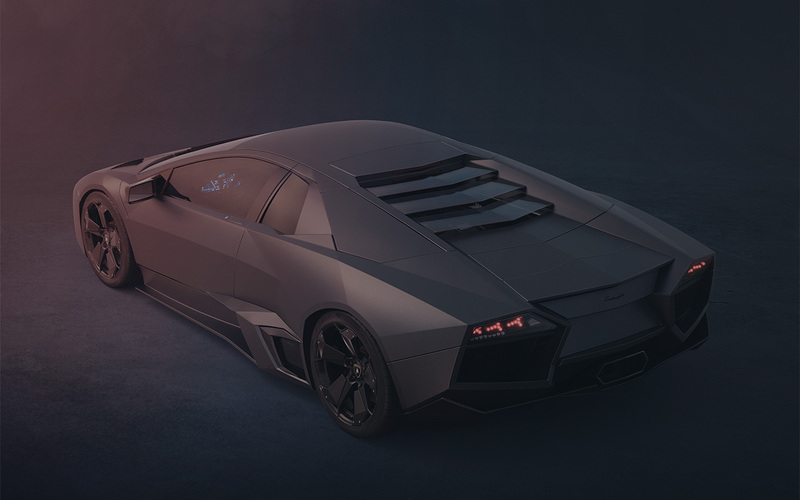 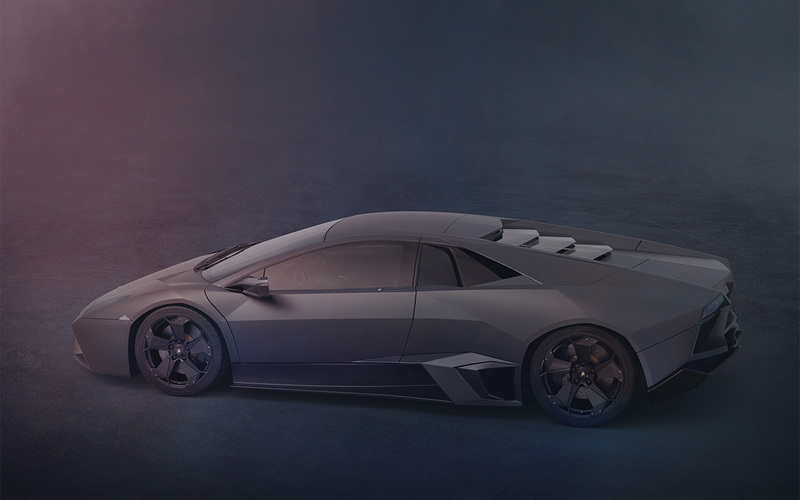 This rare limited edition Lamborghini Reventón was shot with studio lights within a private garage. 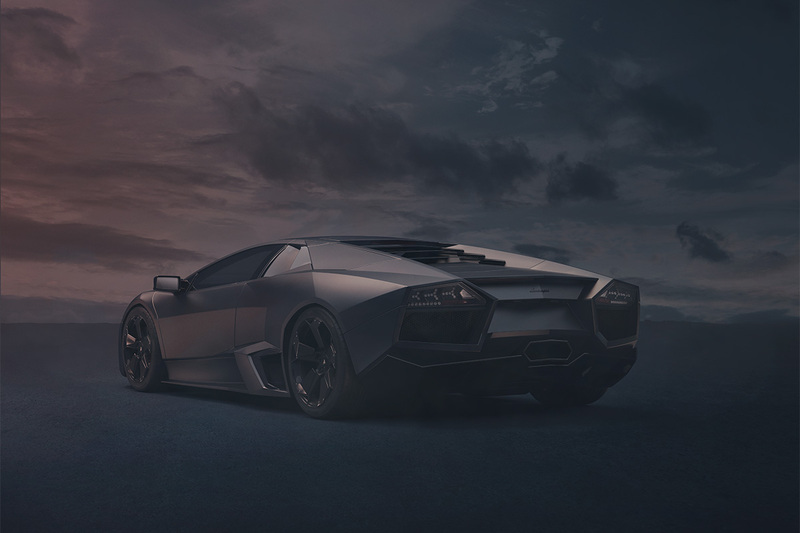 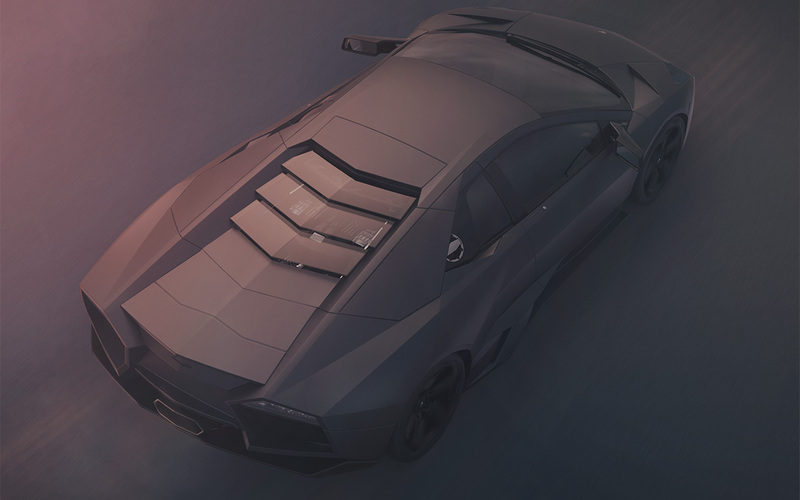 It was then composited onto a wide open landscape recoloured to match the gelled lighting on the car. 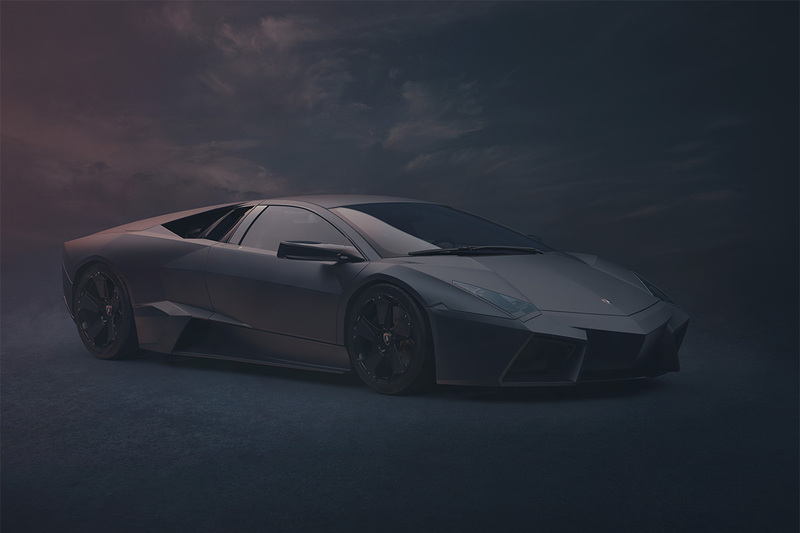 The intention of the lighting was to bring out the pearlescent nature of the matt grey paintwork and create a more dynamic image.